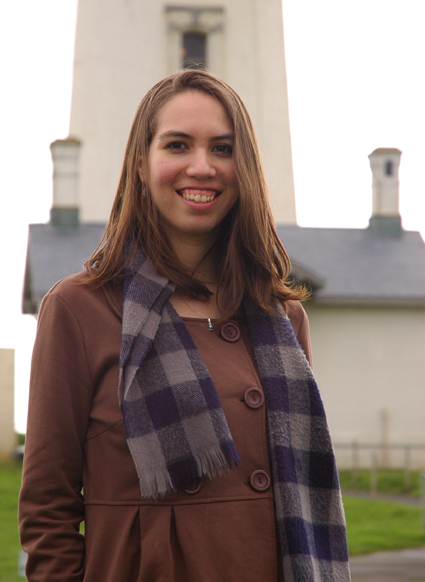 Emily Ward is the author of Passages, Finding Fiona, and The Protectors series. One of her first stories featured a young girl whose doll came to life. The rest is history. She spent years writing mainly fanfiction (thank you, J.K. Rowling! ), but has since ventured into originality. When it comes to fiction, she writes mainly young adult, contemporary, and fantasy. She also writes nonfiction, ranging from stories of her travels to thoughts on the Bible. Aside from writing, she loves reading, traveling, learning about God, sociology, religion, and Reeses sticks. Currently, she lives in Salem, Oregon with her husband Chris and their cats. Visit her website at http://emilyannward.com. Emily Ward is author of Promising Light and its three prequel novellas, Finding Fiona, and other novel(s), novella(s) and short story’s. Holly: Hi, Emily! Can you tell us a little about yourself? Emily Ward: Sure! My name's Emily, I'm married, and my husband and I have two great cats. Right now, we live in Oregon, where we met and got married, but I've lived in Hawaii and a few towns in Colorado, as well. I can't really sit still. I like new places, meeting new people, traveling. I'm a bit of a chameleon. I blame it on my parents, who moved a lot for their jobs with the Salvation Army. I can blame my mom for obsession for writing, too! I've been writing stories since I was very young, and she has been nothing but encouraging. I've written a little bit of everything through the years, and I'm definitely still developing, but right now I write mostly fantasy, scifi, and young adult. Here and there, I also do nonfiction and mainstream, but spec fiction and YA is what I really love. When I'm not writing, I'm working on my Bachelor's for Sociology and Linguistics or volunteering around town or doing graphic and web design. Or house work, but not very often. Holly: Do you remember how you first started writing when you were young? Emily Ward: Yes, I do! I'm not sure how old I was, but I'm pretty sure my first story (on my own, not for school or anything) was about a doll that came to life, and the little girl who owned the doll. I wrote it in one of those black and white composition notebooks and showed it to my mom and my brother. I'm sure they were nice and supportive, but oddly the only response I really remember is my brother telling me that when someone new started speaking, I had to start a new paragraph. My mom probably still has that notebook somewhere. I wrote a lot of stories after that, most of them inspired by movies I'd seen or books I'd read. Diamond thieves, twins with secret powers, things like that. Holly: Can you tell us a little bit about the first novel in your Protector series, Promising light? Holly: Your fantasy novel, Promising Light actually has three prequel novellas. Can you tell us a little bit about them and how they connect to the novel? Emily Ward: Yes, definitely. The first, Shifting Light, takes place ten years before Promising Light; Fire and Light varies from eight to five years; and the last one, The End of Light, is two years earlier. They mainly focus on the beginning of the curse that has made the shape changers (also called Avialies) unable to have children, and how the Avialies react to it, particularly a group of teenagers and young adults. It involves some minor characters in Promising Light, such as Sashe, as well as major characters, such as Dar and Sierra. Shifting Light and Fire and Light are more YA Romance, but The End of Light has some very big events that affect the way things in Promising Light happen. I'm hoping that people who enjoy Promising Light will be able to learn a bit more about the characters through the novellas. But people who haven't read Promising Light would enjoy them, too, and will hopefully want to read on to see what happens! Holly: Can you read Promising Light with out reading the novellas or would you recommend the novellas first to readers? Emily Ward: No, you can read Promising Light first. In fact, if you read it first, you figure everything out about the shape changers and the Protectors at the same pace as Grace, the main character. If you read the novellas first, you'd know what Grace was looking for. At the same time, if you read Promising Light first, you'll know the outcome of some of the big conflicts in the novellas. I think it will be mostly up to personal preference. But I do recommend that the novellas are read in order, whether you're reading them before or after Promising Light. Holly: You have another novel called Finding Fiona. Can you tell us a little bit about this novel and your inspiration for it? Emily Ward: Yes, Finding Fiona YA scifi. It might be more of a novella at 45K words or 175 pages, but some people consider it too long for a novella. Anyways, Fiona loses her memory after a brutal attack. She has bits and pieces of her memory, but not enough to know what happened to her. Four months pass before she meets someone who claims to be from her past, then she finds out that the world actually thinks she's dead. This launches her journey to figure out what happened and how she escaped the men who killed her parents. The very basic ingredients actually came from a prompt: girl loses memory, someone finds her and says he's lucky he found her first because others are looking for her. And I took it and ran with it. I had to figure out what had happened to her and what she would do with that information. It was really fun to write. Holly: Can we expect more works from you this year; are you perhaps in the works of anything at the moment? Emily Ward: Yes, you should see Promising Light's sequel by the end of the year. I don't want to make any promises about when, but I'm about halfway through it right now and I hope it'll be up in the summer. Depending on how this book ends, there could be a third book in the series. I'm also working on a fantasy novel called The Illusionist. Here's a rough blurb: Elliana has a secret. She can trick people's senses: make them see someone who's not there, taste food that doesn't exist, even feel things that are only in her head. She's determined to keep this secret and tries to live a normal life. Well, except for trying to dethrone an unjust king. She and the rest of the Council are trying to place someone new on the throne through the tournament that crowns the king every seven years, but they have to work through years of the king's blackmail, flattery, extortion, and bribes. When she realizes her powers could help them win, she has to choose who to help: the boy who's like her brother or the boy she's fallen in love with. It's a very similar genre to Promising Light: fantasy romance that has a good/evil struggle but isn't on a "save the world" level. I've put it on hold for a bit for The Protectors series, but I've had a lot of fun with it so far and can't wait to finish it. Holly: You have three collection novels, which I assume is the same as an anthology, short stories that have a common theme all by you? Did you set out to write the collections or did they just come together on there own? Emily Ward: Passages and Beyond Home have stories and each are written by me. Love, Me (which should be released just a day after this interview posts!) is actually an anthology, so there are six other authors who have stories in the collection, too! As for my collections, they just came together on their own. Passages is seven different young adult stories I wrote, and I realized they'd make a good collection because they deal with similar subjects: romance, family, friends. Each one is pretty short, too, hardly over 3000 words. Beyond Home has three longer stories that deal mostly with people in their 20s (I think it's called "new adult"?). Each of the stories have travel involved: sisters going to the Grand Canyon after their dad dies; a woman reminiscing about a road trip she took with an ex; and a man going on a spontaneous trip to Hawaii with a runaway bride. It's funny how some themes reappear in my writing. Holly: Where can we purchase your works at? Emily Ward: My books are available pretty much everywhere: Amazon (my Author Central profile is http://amazon.com/author/emilyannward), Barnes and Noble, the iBookstore, and smaller retailers like Kobo, Sony, Diesel ebooks, and Smashwords (http://www.smashwords.com/profile/view/emilyward). I sell the paperback of Finding Fiona on my website, too, and Promising Light's paperback will be for sale there once it's available. Emily Ward: Thank you guys so much for reading! I appreciate every sale, every review, every read. It's amazing to think that people out there are actually reading and enjoying my books. So thank you! 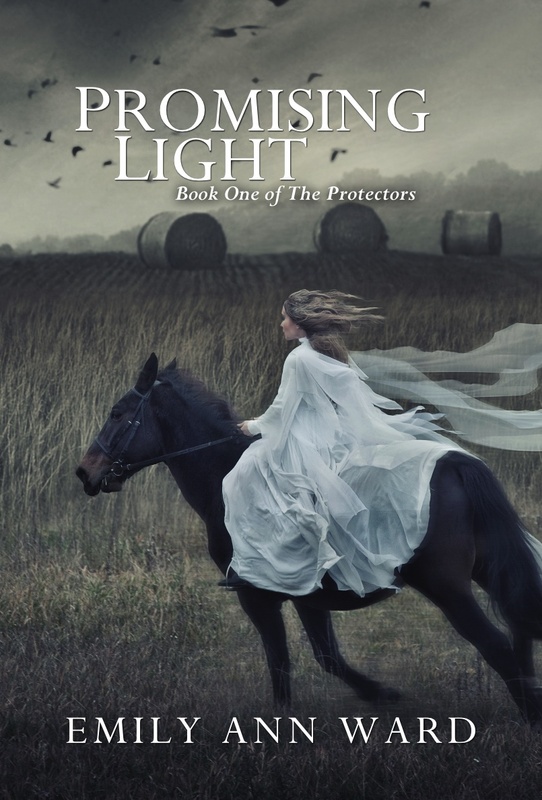 Emily Ward has offered to giveaway two (2) eBook copies of Promising Light (The Protectors, #1)! "Grace began a secret courtship with Dar for the thrill of doing something against her father, the king’s general. She hadn’t planned on falling in love with him. When Dar suddenly leaves her, she searches for answers, reluctant to let him go. Torn between two worlds, Grace isn’t sure who to trust. If the curse endures, Dar’s family could die out forever. But to help them, she’ll have to leave behind everything she knows." **Just sign in via Facebook or with your name and email, and click 'DO IT!' --Green Button-- read the instructions/directions of the entry well please, complete it and then click 'Enter'. Jasmin Palo, an avid reader and writer, is currently earning her doctoral degree in Molecular Biology at the University of Nevada Reno. She used her decade of expertise in the field of medical research to write the thrilling medical mystery 'Heart Attack'. Jasmin Palo is author of the novel Heart Attack. Holly: From what I understand besides writing you are also earning your doctoral degree in Molecular Biology? Jasmin Palo: Yes I am earning a PhD in molecular biology. This is where I got some of the plot for Heart Attack that involves some aspects of biotechnology. Holly: Can you tell us a little about your novel, Heart Attack? Jasmin Palo: Heart Attack is a cozy medical mystery novel that involves a pharmaceutical company called Witham. P.I Nathan Stone together with homicide detective Nicole Trent begin to investigate a homicide. They soon find out that people connected to Witham who have mysteriously died of heart failure may have been poisoned. I used my expertise in cloning and microbiology to write this book, letting my imagination do the rest. Holly: Do you have any plans for another book or book(s) in 2012? Jasmin Palo: I am hoping to write another book after I graduate later this year. Just as Heart Attack it would be a medical thriller. 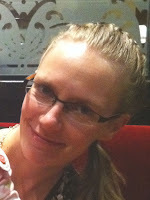 Jasmin Palo has offered to giveaway an eBook copy of her novel Heart Attack to one lucky winner. **Just sign in via Facebook or with your name and email, and click 'DO IT!' --Green Button-- read the instructions/directions of the entry well please, complete it and then click 'Done'. 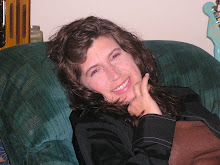 Charlotte Blackwell author of The Embrace Series is delighted to have the opportunity to follow her dreams of writing. She would love to share a little bit about her self with you now. Charlotte was born in October of 1976. On the day of her birth Charlotte's father was racing stock cars, while her two older sister's watched from the stands as their father crashed through the wall of the race track. Within moments the stock car he was driving came back through the wall, and he won the race. He took his two daughters and hurried to the hospital for the birth of his third daughter, Charlotte. Raised in Edmonton, Alberta, Charlotte enjoyed swimming, singing (although not so great at it) and writing her thoughts down. She never shared her passion for writing with anyone, and it got...Read full bio here. Charlotte Blackwell is author of the Embrace series. Holly: Hi Charlotte! Can you tell us a little bit about yourself? Charlotte Blackwell: I’m a mother two three amazing children. For the past six years, I’ve been a stay at home mom to them. Now my youngest has started school and my oldest (who is homeschooled) enters High school next year, Wow that makes me feel old (haha). I love life, family and friends and am so glad to share little bits of that with others now. Charlotte Blackwell: It really wasn’t that long ago when I began write professionally. I started writing Immortal Embrace in November/December 2009. In the spring of 2010 I began writing various articles and became a contributor for Yahoo and other sites. I even began getting paid. It was great. Before that any writing I did was just letters and notes for myself to express my feelings. As a kid I tried writing songs, but sucked! Holly: Can you tell us a little about the first novel in the Embrace series, Immortal Embrace? Charlotte Blackwell: Immortal Embrace is where it all starts and the reader gets to know the characters. It builds the setting for the rest of the series. There’s a few exciting parts and a lot of relationship building. Readers of Twilight will really enjoy this book and relate to it. Holly: What was your original inspiration for this novel? Charlotte Blackwell: My children are the inspiration for it. Sophia the lead character is based of both myself and my eldest daughter. Sophia is fairly insecure and soon learns to come out of her shell and believe in herself more and more. I hope to get the message to my daughter and others like her that it’s okay to allow others in. Sometimes it’s difficult making new friends, but if you don’t give others a chance to like you for who you are, you could miss out on some really amazing friends. Holly: Did it start off as the idea for a series or just the first novel Immortal Embrace? Charlotte Blackwell: I always wanted it to be a series. Although I was never sure if I could pull it off. Immortal Embrace originally had about a quarter of Forbidden Embrace in it as well. I later decided to split it up and separate the story a little more. Each book continues where the last one left off, but have their own separate identity and plot. Holly: Forbidden Embrace again follows Sophia Pierce and her story can you tell us a bit about this novel? Charlotte Blackwell: As I said the first book we get to know the characters, but in book 2 a lot more happens. There’s action and romance and we really see Sophia’s relationship forge strong connections. We even learn why some of the characters are they way they are. Holly: In the newest novel Mystic Embrace we follow Ebony Triggs. Can you tell a little about this novel and why the series has suddenly switched to a different character focus? Charlotte Blackwell: Mystic Embrace is my favorite of the three so far. I decided to switch POV’s because Ebony really had a story that needed to be told. It still follows the rest of the series and characters, but we learn a lot more about Sophia’s best friend. She has had a hard life, and things don’t get any easier for her. So much happens in this book, and I was even surprised at some of the developments of it. It was fun writing Ebony’s story, but book four does return to Sophia’s POV. Holly: Was the change of focus to Ebony planned or did it play out on its own? Charlotte Blackwell: I actually wrote Mystic Embrace before I finished Forbidden Embrace. I knew Ebony would have a lot happening and it wouldn`t be fair to her if Sophia told it. Holly: Do you plan a fourth book in this series? Charlotte Blackwell: As I mentioned book four returns to Sophia`s POV, it is almost complete and called Everlasting Embrace. In this book we meet even more characters and even see another story play out. Holly: Do you think you will move into other genre(s) writing wise in the future? Charlotte Blackwell: I do have a contemporary romance for adults in the works, but had to put it to the side. I have some really amazing fans that want more of the Embrace Series. 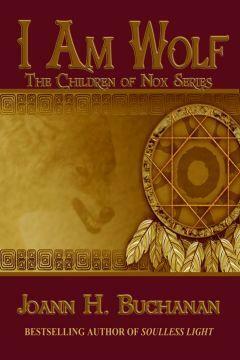 I`ve been averaging a new book in the series every few months. It`s been hard and rewarding at the same time. Once book four is done, I plan to finish my romance before returning to the Embrace Series. I also have some plans for amazing sci-fi books. I hope to begin work on soon too. Charlotte Blackwell: For the time being it is Everlasting Embrace, but will return to the others when I take a little break. Charlotte Blackwell: I love my readers. They are so supportive and understanding, I wouldn`t still be writing if it wasn`t for them. So thank you. Holly: Can you tell us about some of the items in your shop, Embraced With Love? Charlotte Blackwell: Everyone loves to have the chance to get merchandise related to the books or films they love. I created a very simple shop that includes my tag lines, covers and even the Magnificent Ones, triquetra from the book of shadows. I thought it would be fun to have anything you wanted. I was able to set the prices and decided I didn`t want a huge mark-up. (some of the items are expensive enough). I didn`t open the shop to make money, I did it so fans could have Embrace merchandise. I`ve even ordered the teddy bear for a little girl I heard about, that was going in to surgery and needed a little something to cuddle. Thank you for having me on the blog, Holly!